Focal's Polyglass 33V1 subwoofer pump out righteous low end that brings out the power in your music. 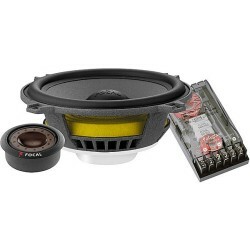 Focal crafts these subs with tremendous care to ensure flawless output and long life. 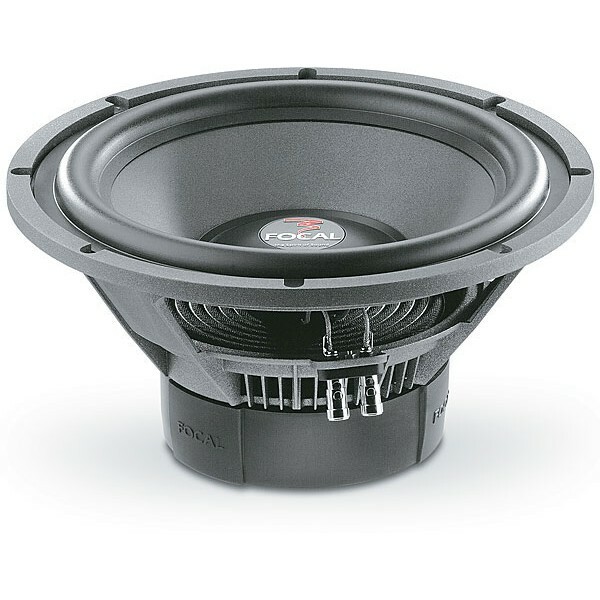 The Polyglass 33V1 13" subwoofer can take up to 400 watts RMS, and it's designed for use in a ported enclosure. Its advanced Polyglass cone bonds a layer of hollow glass microbeads over a layer of cellulose to create an incredibly strong, responsive speaker. The large butyl rubber surround keeps the cone moving smoothly, while the engraved aluminum dust cap provides protection with a classic look. Focal anchors this sub with a rigid, non-magnetic zinc alloy basket that won't color your bass. Advanced cooling around the voice coil keeps this sub running cool when your music heats up. Focal's pursuit of excellence makes this Polyglass subwoofer a great pick for low-frequency reinforcement in your vehicle.